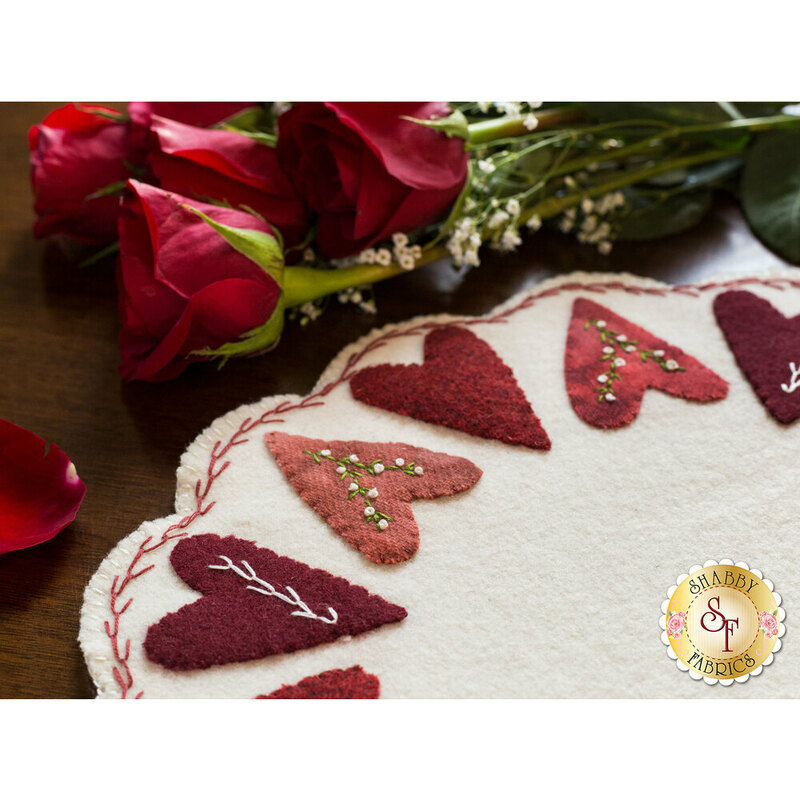 The love will show through in every stitch of this darling Sweetheart Wool Mat designed by Stacy West! 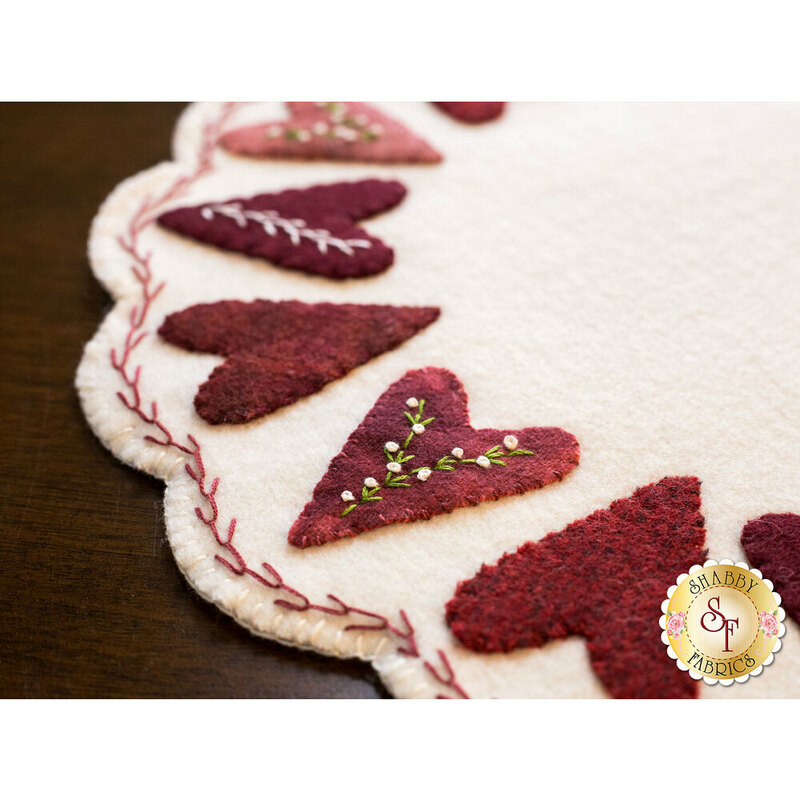 Beautifully textured red and pink wool hearts are adorned by sprigs of floral hand embroidery. 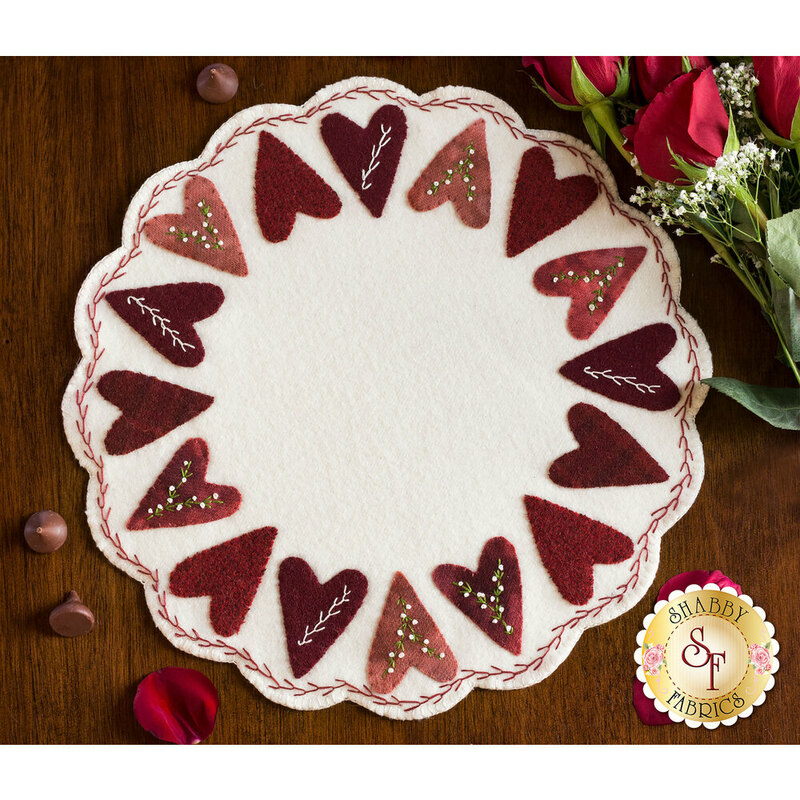 It's a lovely beginner-friendly project, perfect for displaying candles, a bowl of chocolates, or a vase of roses! Finishes at approximately 13½" in diameter.